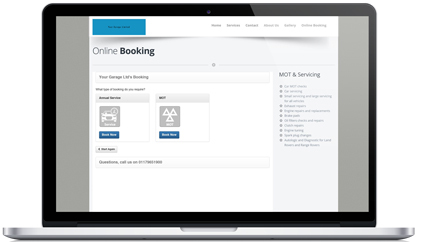 Online Booking is an easy to use booking system, made available via your website, that gives your customers the ability to book their MOT & Service 24/7 at their convenience. 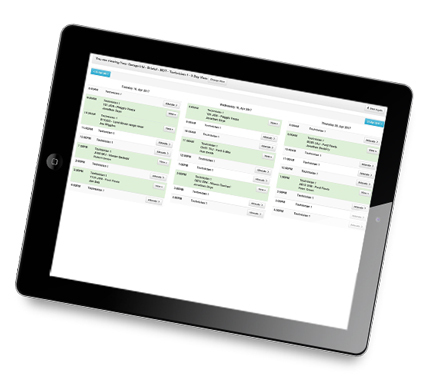 The easy to use diary style booking system runs in real-time which ensures you have up to the second access to all bookings. Customers see the time slots that are available therefore avoiding the risk of double bookings and confusion. As part of the online booking package you will have access to our cloud based and mobile friendly, workshop diary. The workshop diary lets you organise your day from start to finish meanwhile offering complete flexibility to make changes. Running in real-time you have an overview of all bookings as soon as they come in. The system is flexible enough that it’s prepared for the unexpected, for example, MOT retests and swap bookings. 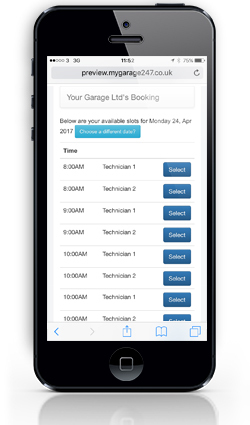 The workshop diary is customisable and can easily be setup to best suit your garage and the way you like to work meanwhile ensuring maximum efficiency. There are no restrictions to the number of bookings you take. You also receive 100% of each booking taken. Your Bookings, Your Business! From as little as £1 a day online booking is available to you and your customers. Integrated into your website and operational in a matter of minutes, online booking eases the strain on your resources and leaves you to get on with the work that matters most. When setting up your online booking select the configurations that work best for you and your garage. This includes the time slots, working days, bays, prices and the services that you offer.